196 pages | 20 B/W Illus. People from West Africa are risking their lives and surrendering their citizenship rights to enter exploitative labour markets in Europe. This book offers an explanation for this phenomenon that is based on close analysis of the contradictory economic and political agendas that create and constrain labour migration. It shows how global capitalism regulates different stages of the process within an interconnected system of economic dispossession, the construction of an illegal status, border control, labour exploitation and processes of underdevelopment. This is summarised as a regime of ‘unfree labour mobility’. Combined with structural and historical approaches, this book is based on ethnographic research. It incorporates those who are left behind, those who decide to stay, migrants who fail and those who are on the move, alongside clustered migrant communities in Senegal, Mauritania and Spain. The book’s panoramic approach shows how West African ‘step-wise’ journeys to Europe by land and sea sees competing territorial and economic policies regulating an unstable and unpredictable trajectory, creating ‘illegal’ labour through dual logics of border security and selective labour mobility. 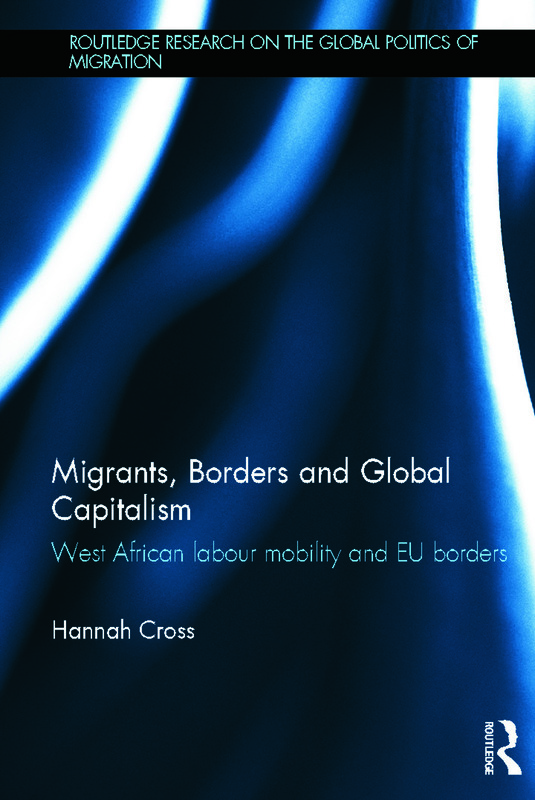 This book demonstrates that the diverse channels through which people migrate in the modern era are mediated by European states and labour markets, which utilise border regimes to control labour and be globally competitive. The themes and patterns that emerge, in their context of inter-generational change, present a challenge to the accepted wisdom about the individual and household dynamics of labour migration. This book is of interest to students and scholars of migration, transnationalism, politics, security, development, economics, and sociology. Hannah Cross is a Lecturer in International Political Economy at the University of Manchester and an Honorary Research Fellow in the Centre of West African Studies, University of Birmingham, UK. She is also a member of the Editorial Working Group of the Review of African Political Economy.